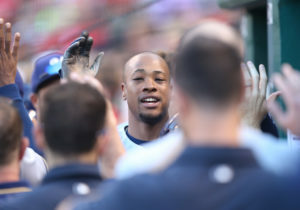 Christian Yelich clubbed a two-run homer and drove in three as the Brewers doubled up the Chicago Cubs 4-2 in their series finale at Miller Park on Sunday. Willson Contreras hit a two-run homer in the sixth inning for Chicago, which cut the Brewers lead in half. But that’s all Chicago would get off of the Brewers, who won their third straight series to start the season and improved to 8-2. The Brewers jumped out early as Lorenzo Cain singled in the first and scored on Yelich’s two-run home run. The home run was the 100th of Yelich’s career. 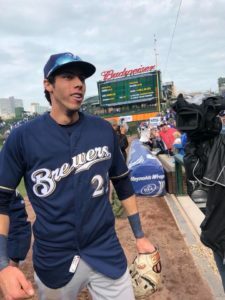 Yelich also drove in the Brewers final run in the fourth with a sacrifice fly. Zach Davies pitched into the sixth for the win. Josh Hader, who was celebrating his 25th birthday, came on and got the final eight outs in relief for his fifth save. Kyle Hendricks dropped to 0-2, allowing four runs as the Cubs fell to 2-7. The Cubs return home to Wrigley for their home opener against the Pittsburgh Pirates today. The Brewers open a 3-game road series in Los Angeles against the Angels of Anaheim. Jhoulys Chacin (2-0, 4.22 ERA) shoots for his third win of the season for the Brewers. The Angels will counter with Trevor Cahill (0-1, 3.75). 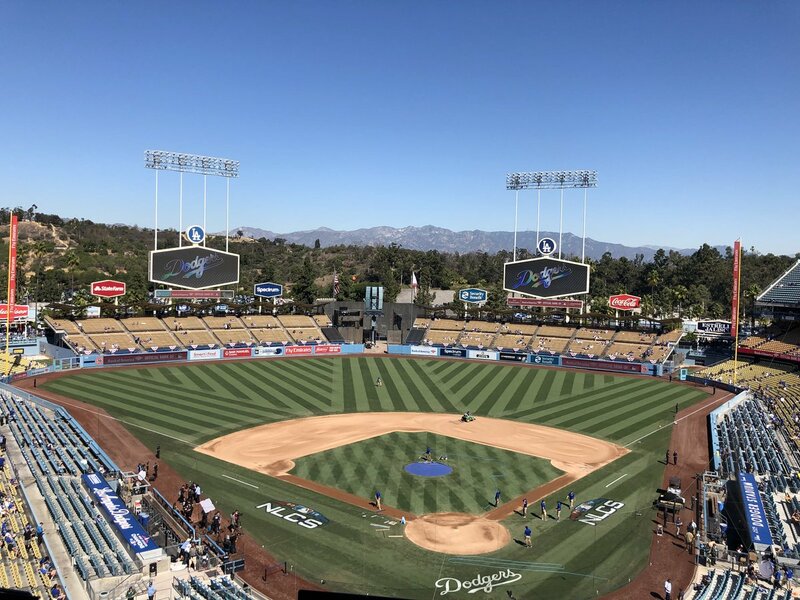 Dodger Stadium hosting Game 5 of the NLCS. The Milwaukee Brewers removed left-handed pitcher Gio Gonzalez from their NLCS playoff roster after he suffered a high left ankle sprain in the second inning of Tuesday night’s 2-1 loss in 13-innings to the L.A. Dodgers. 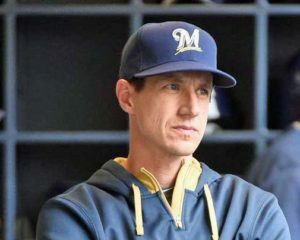 Taking Gonzalez spot on the roster is right-handed pitcher Zach Davies, who hasn’t pitched since September 28 and has pitched just 23 innings dating back to May 29. Davies hasn’t won a game since April 24. Gonzalez was hurt just one pitch into the second inning, twisting his ankle while trying to field a comebacker off the bat of Yasiel Puig. Gonzalez was acquired from the Washington Nationals on Aug. 31 and went 3-0 with a 2.13 ERA and WHIP of 0.95 in five regular-season starts for the Brewers. He is set to become a free agent following the season and it’s expected that he will not return to the Brewers. Wade Miley makes the start in Game 5 of the NLCS for the Brewers. 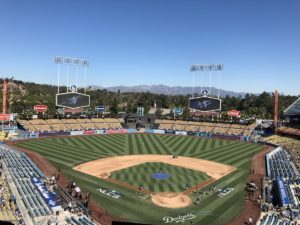 Clayton Kershaw gets the nod at Dodger Stadium on Wednesday afternoon. 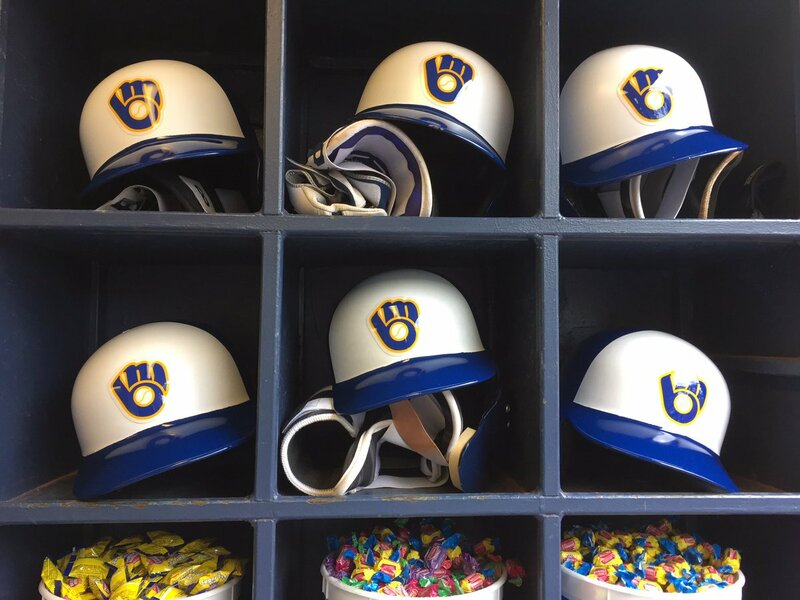 The Milwaukee Brewers swept the St. Louis Cardinals with a 2-1 victory on Wednesday night at Busch Stadium in St. Louis. 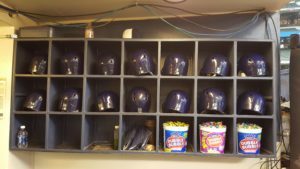 The win clinched the top wildcard spot in the National League as the Brewers a post season playoff spot for the first time since 2011. 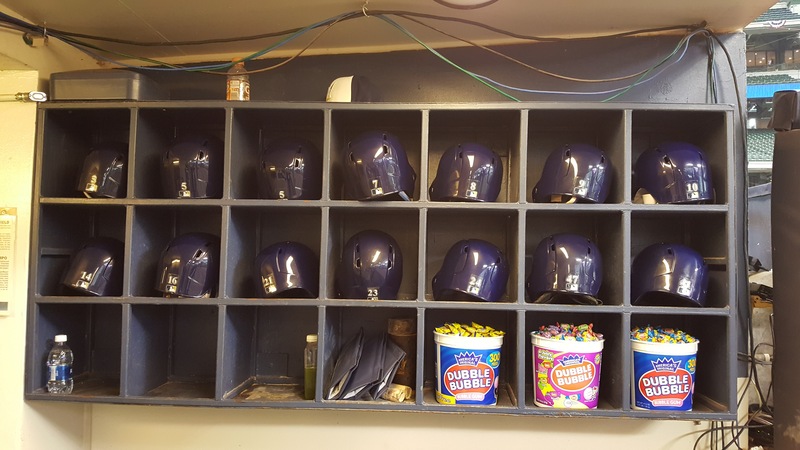 The Brewers celebrated with champagne in the locker room after the game, but there’s still more to do. The Brewers trail the Chicago Cubs by one-half game in the Central Division title race. The Brewers have the day off today and close out the regular season with a three game home series against the Detroit Tigers. The Cubs have four games left, starting with the series finale against the Pirates on Thursday and three games against the St. Louis Cardinals in Chicago this weekend. Zach Davies made his first start in a major league game since May 29 and he held the Chicago Cubs to a run on four hits in five innings. Davies didn’t factor into the decision, but he helped the Milwaukee Brewers beat the Cubs 4-3 in their series opener at Miller Park. Shoulder and back issues forced Davies to miss 90 games. When he took the mound on Monday, he did so with a 2-5 record and a 5.23 ERA. The Brewers fell behind 3-2 in the 8th when Anthony Rizzo clubbed a two-run home run off of lefty Josh Hader. But the Brewers got one back in the 8th when Mike Moustakas drew a bases loaded walk to tie the score at 3-3. The Brewers loaded the bases again in the 9th with one out and NL Player of the Week Christian Yelich at the plate. Yelich slapped a hard ground ball to third. Khris Bryant fielded it cleanly, but instead of going home for the force out, he went back to step on third for out number two, then fired across the infield to try to double up Yelich to get out of the inning. But Yelich had something else in mind, legging it out for a fielder’s choice RBI and the Brewers 10th walk-off win of the season. After struggling in day games earlier this season, Monday’s win was their sixth straight in daylight. They had dropped nine in-a-row earlier. The win moved the Brewers to within four games of the division leading Cubs. The two teams meet again tonight at Miller Park. Wade Miley (2-2, 2.18) goes for the Brewers. Mike Montgomery (4-4, 3.82) goes for Chicago.